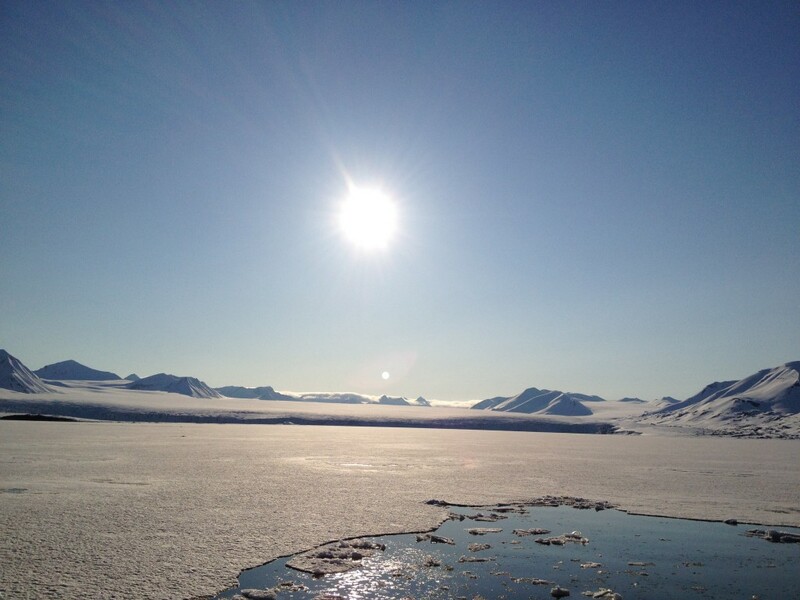 ← The transit of Venus – live from the Arctic! Last night the Venus Express science working team, along with ground-based observing teams and media crew here to cover the transit, took a break from meetings to enjoy a boat ride out to the glaciers of Spitsbergen under the midnight sun. For many, the trip conjured up powerful analogies to transit expeditions of the 18th and 19th centuries. Like the expeditions of our astronomical forefathers the observation campaigns of the 21st century have required months of dedicated planning. Thomas has spent the last month deploying his teams and their telescopes to sites all over the world, including Japan, Hawaii, Australia and India, drawing further parallels with the historical expeditions which voyaged to widely spaced locations to compare the time at which the transit began. Those results would lead to an estimate of the astronomical unit and the size of the Solar System, arguably the most important astronomical measurements of the time. But despite the best-laid plans, and a problem that astronomers of today are all too familiar with, clouds ruined some of these years-long expeditions. Meanwhile ESAC’s Miguel Perez Ayucar and Michel Breitfellner are preparing to stream images of the transit live from Svalbard from just after midnight tonight. “The last few days have been really cloudy which has been frustrating, but today has just been fantastic, giving us the chance to test out our equipment under the midnight sun,” says Miguel. Right now, with a little over 12 hours to go, the weather in Svalbard is mixed: sunny skies but with clouds hovering over the mountains. Stay tuned for more updates!